MANILA -- The release of passports will be shortened to as early as six working days starting October, the Department of Foreign Affairs (DFA) announced Thursday. 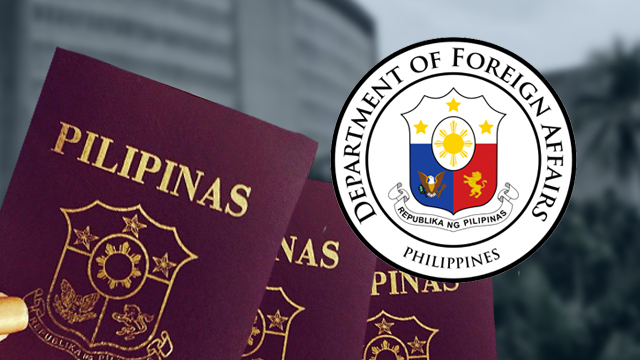 Passport applicants at the DFA Consular Offices in Metro Manila, who will avail of the regular processing for PHP950, will receive their passports after 12 working days instead of the current 15 working days. Those who opt to pay the express processing fee of PHP1,200 can receive theirs after six working days, instead of seven. On the other hand, applicants in DFA Consular Offices outside Metro Manila can receive their passports after 12 working days instead of 20 for regular processing and after seven working days instead of 10 for expedited processing. Foreign Affairs Secretary Alan Peter Cayetano said this is part of their commitment following President Rodrigo Duterte's directive to the agency to provide fast and efficient passport services to Filipinos. “Shortening the length of time our kababayan (compatriot) would have to wait before they could receive their passports is part of that promise,” he said, adding the DFA is working to trim down queue length for passport applications filed at foreign service posts around the world that currently takes as long as two months. Cayetano also boasted of the shortened waiting time in securing online appointment slots to as early as two weeks to one month compared to two to three months in 2017. The DFA chief said the agency was able to increase its capacity to absorb the surge in passport application by implementing the e-payment system, reducing the no-shows, and by replenishing at least 10,000 slots at 12 noon and 9 p.m., Monday to Saturday, except holidays.